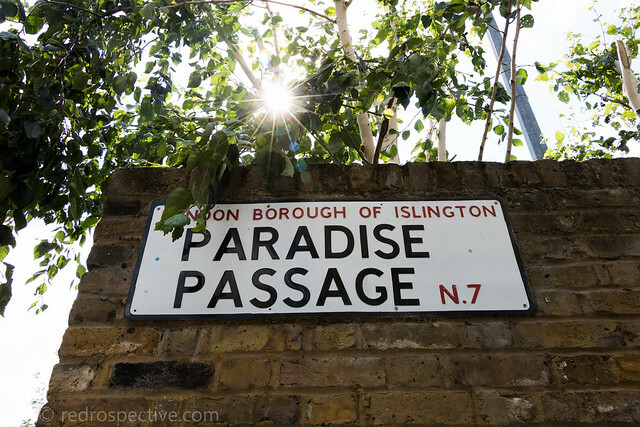 Paradise Park in Islington doesn’t just have an eye-catching name. 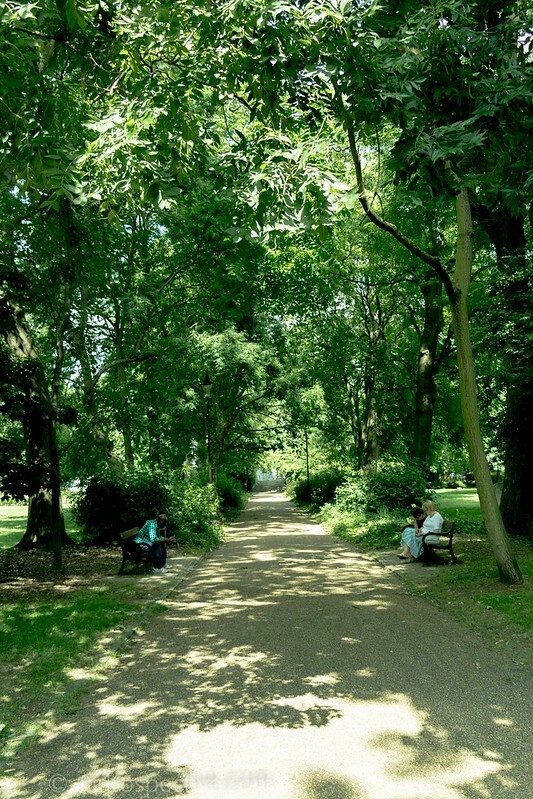 It’s a beautiful destination for play, sport and relaxation. 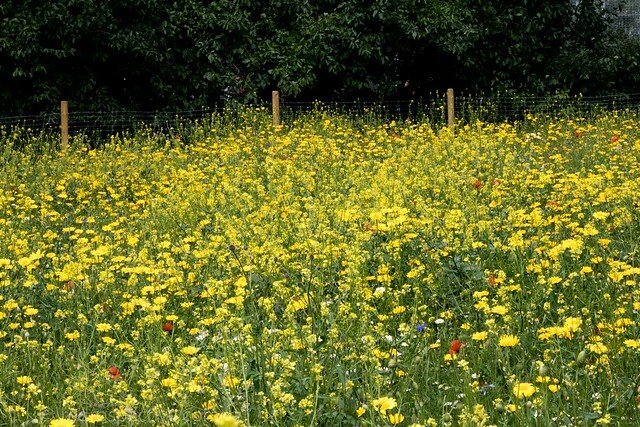 One particularly pleasing and tranquil feature is the amount of space set aside for wildflowers. They really looked gorgeous on a sunny summer day. Large trees provided welcome shade. Willow trees were great for hide-and-seek. A play park and sports areas were further spaces for activity. 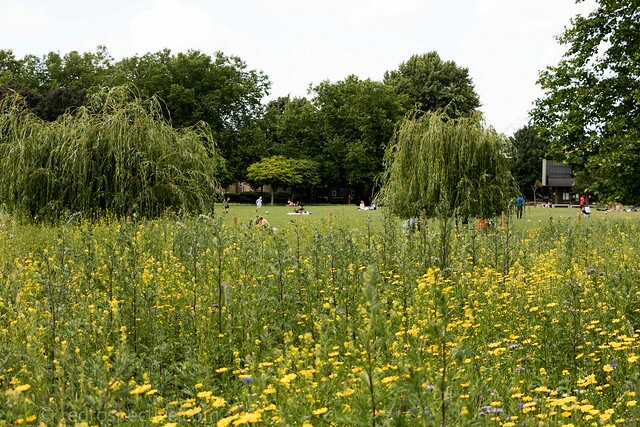 Among the families living life to the full – with a park so large they was plenty of space for play and picnics – there was a sobering tribute to a life cut short. 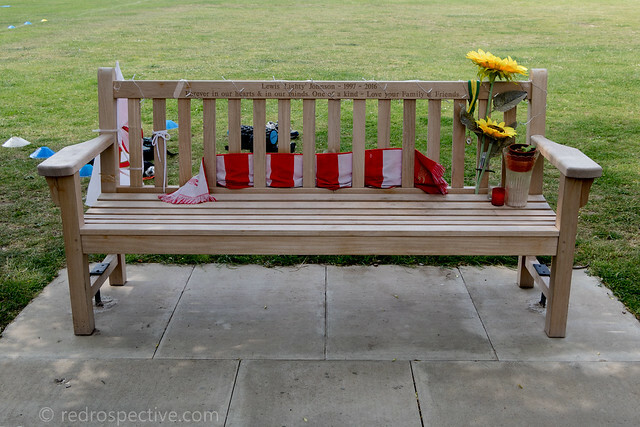 A football shirt and flowers were laid on a bench to mark a tragic anniversary. Paradise Park offered a bonus – there was another little park nearby. 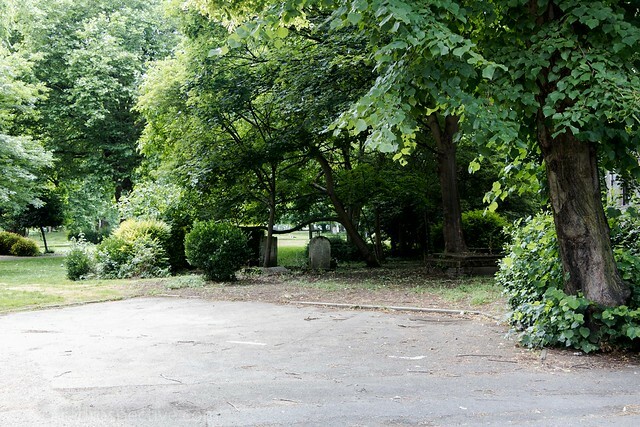 St Mary Magdalene Church Garden had a handful of gravestones but largely speaking was no turned over as a space for peaceful contemplation and strolling.